Administration of Therapeutic Proteins - ITR Laboratories Canada Inc.
Small molecule drugs have been the favored form of medicine for many years, but as medical science advances, newer forms of medication have been steadily growing in prominence. Recombinant DNA technology enabled mass production of protein therapeutics, which has widened the range of treatment options available to practitioners and patients today. Protein-based drugs show positive therapeutic benefits for the treatment of metabolic, cardiovascular and cancer indications effectively slowing disease progression. The high specificity of therapeutic proteins reduces interference with normal biological processes that would cause adverse effects. They are also less likely to elicit immune responses, as the body naturally produces many of these proteins. Despite the advantages conferred by protein-based medicines, they are more challenging to effectively administer compared to small molecules, which can be delivered orally, inhaled, or via injection. When given the choice between inhaling, injecting or swallowing their daily medications, people will avoid injection. Unfortunately due to the challenges involved with oral delivery or delivery via inhalation, injection has been the standard delivery method. 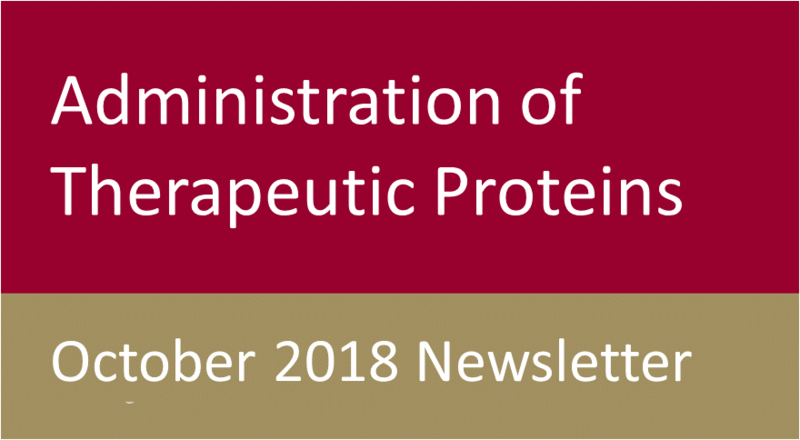 Alternative delivery methods for protein-based therapeutics are therefore in high demand and inhalation looks to be a promising route. At ITR, we are continually developing our inhalation technologies to further provide more effective and comfortable drug delivery. In this newsletter, we discuss the issues involved with oral delivery of therapeutics as well as difficulties with delivery via the lungs. We will also discuss ITRs focus on intensive development of our inhalation technology.